Wow, what an awesome photo of that blossom! I think I see a fairy too. Happy weekend! You have outdone yourself with this magical photo, Carver! What could be more fun than swirling like a raindrop down into the centre of this bloom. This is a gorgeous shot! A swirling fairie! 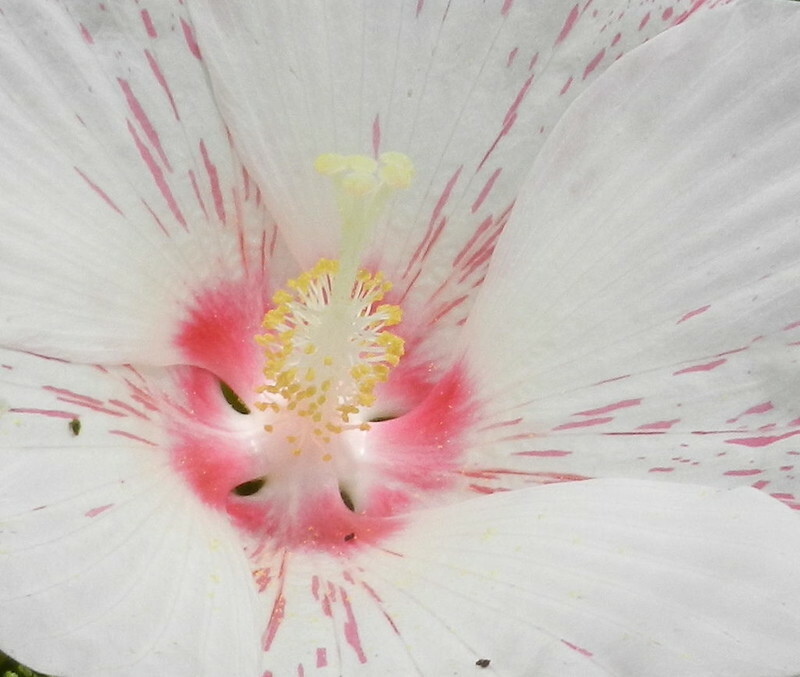 I like the red feathering and streaks, and I love the flower form in Hibiscus where the stamens and pistil look like a fireworks exploding upward. Of Carver, this is an elegant macro, beautiful!
. . . and she's twirling and having a wonderful time. Thank you, I see them so seldom now. I see her too! Thank you for sharing your lucky discovery (a beautiful photo).